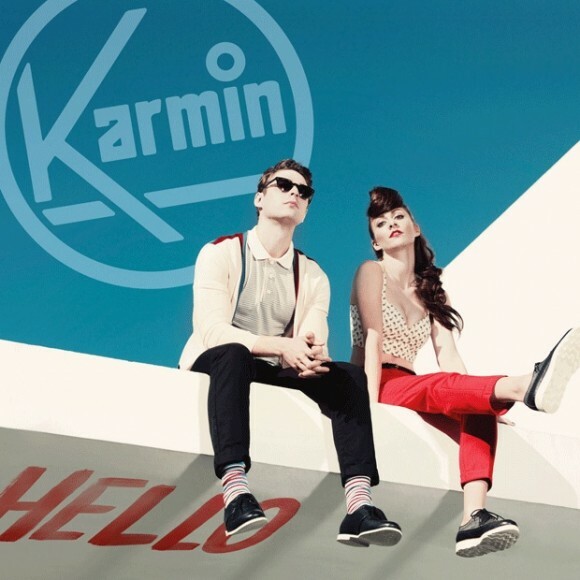 Fresh off the presses, the video for Karmin’s brand new single ‘Hello’ has just hit the ground running and it’s already churning up the visitor numbers. It’s another international-sounding pop number that’s really the perfect follow-up to ‘Brokenhearted’, following along similar lines stylistically, with Amy doing most of the work vocally (and visually). In the meantime, partner Nick’s in the bathroom giving himself a makeover with a pair of clippers so he looks super-fresh when he arrives a few minutes in to complete the clip with her. Now… what brand were those headphones again? Read our recent interview with Karmin HERE. No word on the servicing of this or Rita’s single yet, but Sony are now putting their tracks to radio on a Thursday morning, so it’s possible Karmin could go tomorrow. Yeps – they’re knockin’ boots. The “Smells Like Teen Spirit” sample sounds awesome in this. when will this be serviced to radio..? Also any news on Rita Ora’s next aussie single? Cool song. Cool vid (thanks Sony? )!